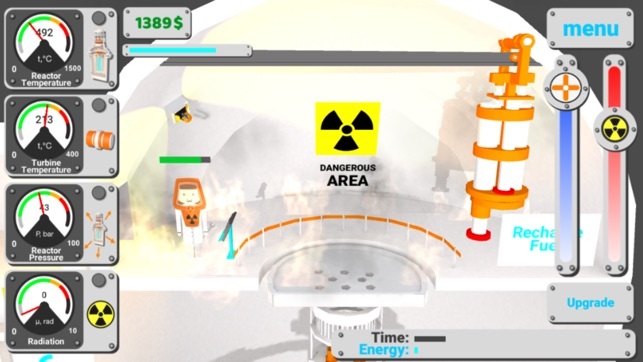 Nuclear inc 2 will teach you the basics of managing a nuclear reactor (and nuclear power plant in general)! Step by step, level by level, Chernobyl after Fukushima. 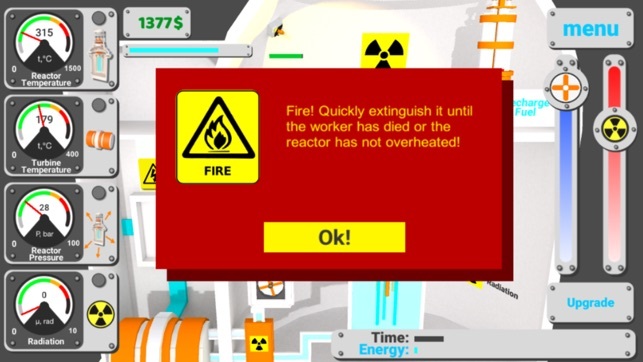 You will turn into a real engineer, able to cope with any critical situation - the emission of radiation, fire, earthquake. Grab the Geiger counter and go! The system of the nuclear power plant is very interesting and happy - you will have to monitor the temperature of the nuclear reactor, the turbogenerator, the pressure, the level of radiation. 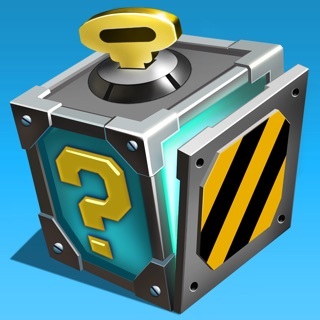 The game contains detailed training! 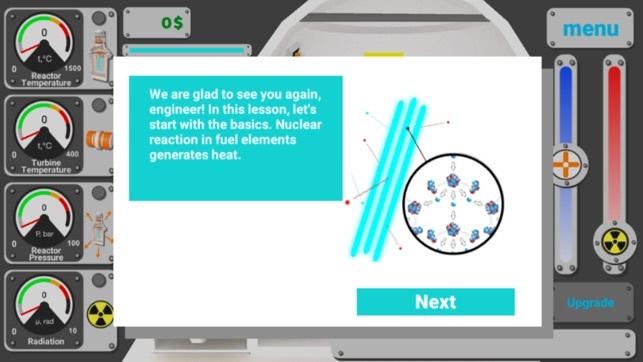 You will understand how the nuclear reaction is taking place and how the energy of nuclear fuel goes into electricity. The game contains 12 levels (yet). 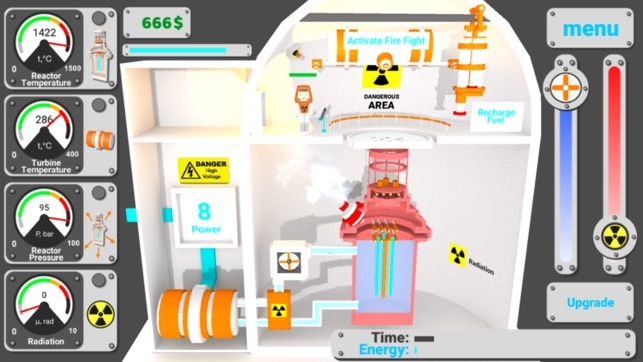 At the first levels, you will learn to control the nuclear power plant. Systems of extinguishing fires, cooling the reactor and other things! Such a multitude of systems will help you avoid a nuclear (thermal) explosion! The latest levels - Fukushima and Chernobyl - will help you become acquainted with the causes of these nuclear accidents (but in a very simplified form). For example, one of the critical errors at the Fukushima nuclear power plant was the placement of emergency generators in rooms below sea level. Tsunami flooded the generators and the nuclear power plant was left without electricity. PS: a quand la mise à jour ? 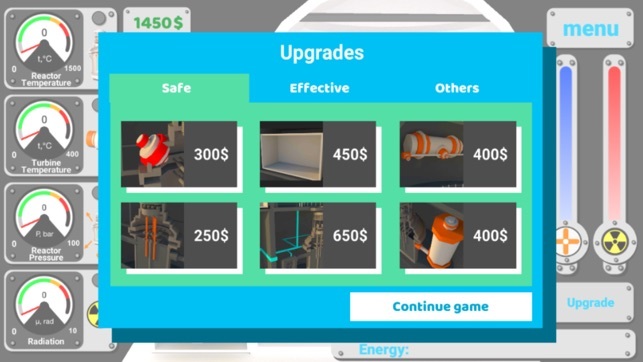 J’aime bien le jeu mais petit beug, ça fait 10 jours que j’essaye de le reussir mais même si je mais le réacteur a fon ça ne marche pas parce que il y a pas assez de production.